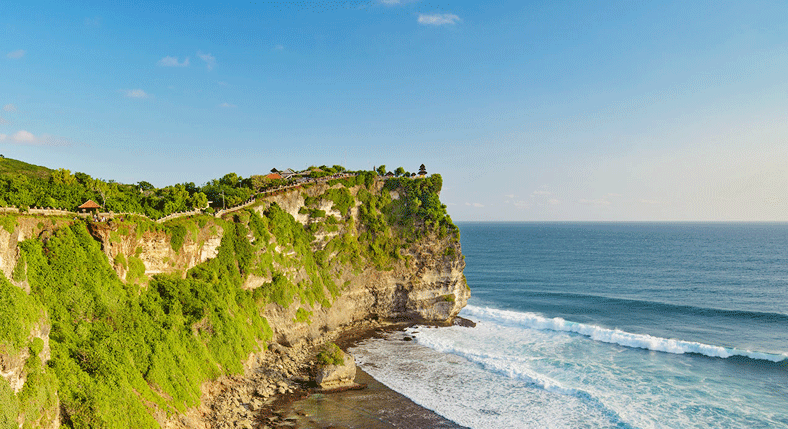 Bali is undoubtedly one of the most exotic destinations in Indonesia for a great reason. The beaches and the countryside are both mesmerizing and beautiful. Bali is also known for friendly locals, hiking, world-class dining and being affordable too. 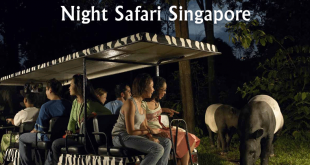 Bali is an absolute package of fun and adventure without worrying about the pocket. 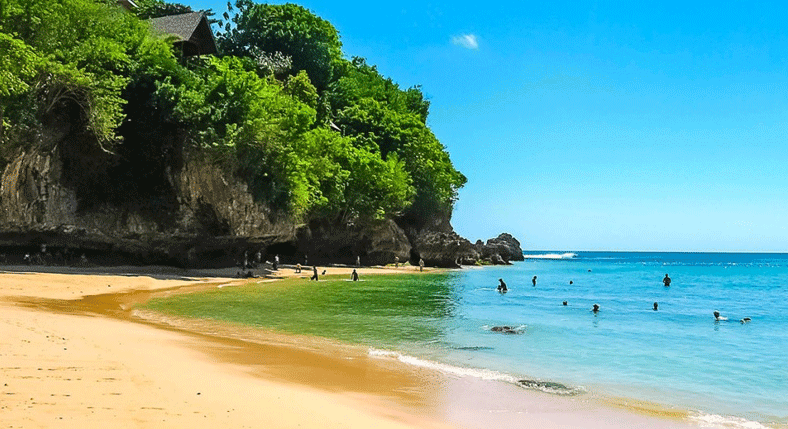 Bali houses some of the best beaches in the world and these are also some of the best free things to do in this city. Just bring a beach towel and some sunscreen and claim a spot there. You can even rent an umbrella and beach chair for a few bucks. It is better to rent a property located right on the beach, if possible. You can find tons of beachfront homes in Bali on Airbnb listings. There would definitely be a no better option to wake up at the beach than these homes. Bali is well known for wave surfing among tourists. There are different places in Bali offering surf lessons on the beach or, you can even rent a surfboard if you know surfing, for a few hours. 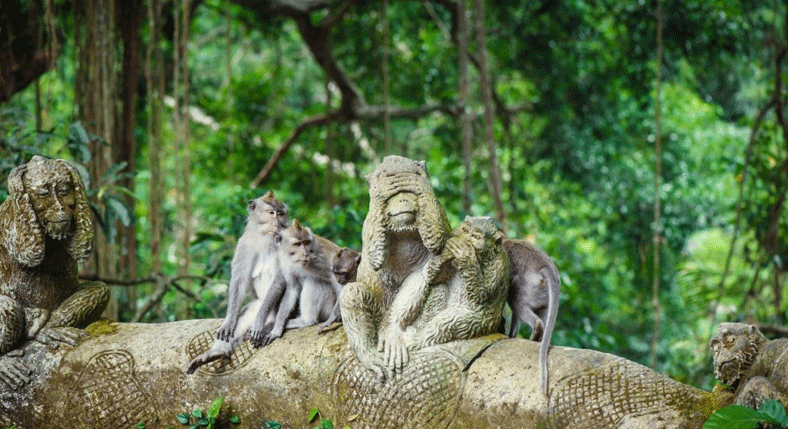 If you are visiting Monkey Forest, be ready to get up and closer to the monkeys. Whenever you visit the Ubud monkey forest, be careful if you buy bananas from the friendly ladies out front. If you do, the monkeys would crawl up ahead. Keep all your bags zipped and avoid wearing sunglasses or a hat. Monkeys are naughty thieves by nature. When you look at the pictures of this temple on the web, you won’t have any doubt that it is among the best things in Bali to do. 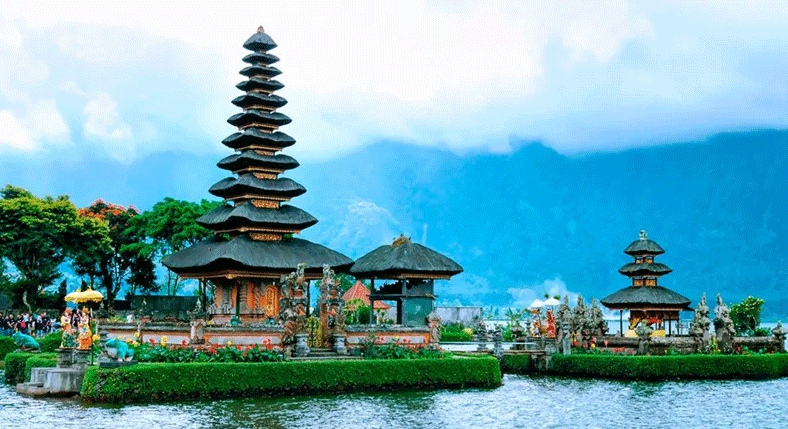 Ulun Danu Beratan Temple is one of the most beautiful temples here. This floating temple is located off the shore of Lake Bratan, which is 3600 ft. above the sea level in the center of Bali. So, it is cool and nice in comparison to Bali’s beaches. After having a busy day with all the most happening things to do in this city, you can just relax with a relaxing massage. Balinese massages are both relaxing and super affordable. You can get a message for just up to $5 for an hour. A lot of massage parlors offer various types of facials, massages and other services. You can just get a message if you get tired here. It is sure that you will forget about the pain. There is nothing better than having a solid dose of adrenaline to start your day. 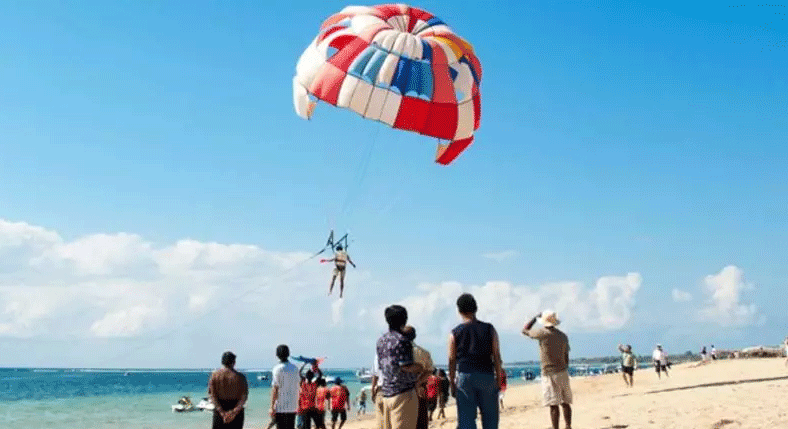 In Bali, Parasailing is the most affordable yet amazing options for adventure. It takes just $30 for this activity, though for a couple of minutes. Get some good clicks of the beaches from above with your GoPro. 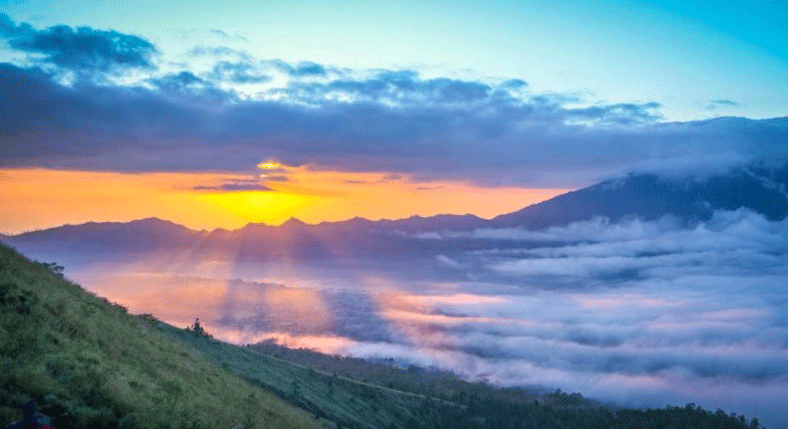 To catch the beautiful glimpse of sunrise on Mount Batur, be sure to set your alarm and wake up early morning. The wakeup call at the early morning is completely worth it once you reach the top of the mountain and catch the sun rising. It is one of the best things for you to do in Bali and you would definitely do it again and again. Just like you have started your day with a beautiful sunrise, there is no better way than watching the sunset to end your most happening day. Simply head to the beach or head to the rooftop bar or watch people playing the games while enjoying the sunset. You may definitely not want to skip Chicken Satay with peanut sauce once you taste it. If you are in Bali, you must try this dish. 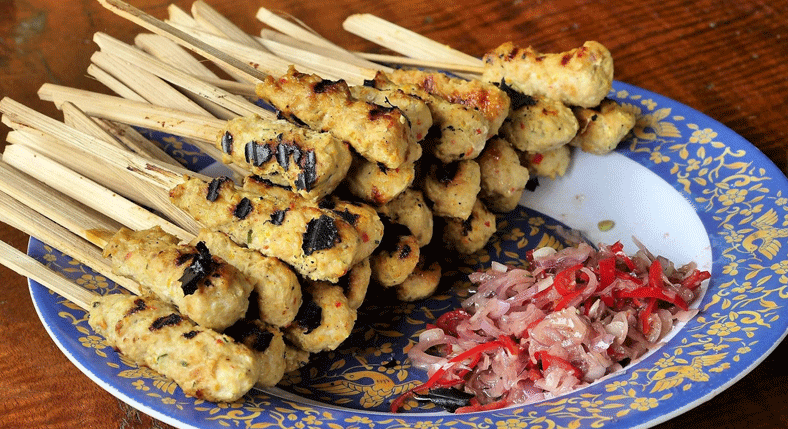 These delicious meat skewers are served with authentic dipping of peanut sauce. You will never stop once you pop it. It is something you will do again and again. Located right at the shorelines, Uluwatu Temple is just the right spot to end your hectic day after doing all the adventurous things in Bali. To have enough time to catch beautiful pictures before losing the natural daylight, be sure to visit here at least an hour or two before sunset. Watch out of crazy monkeys there. 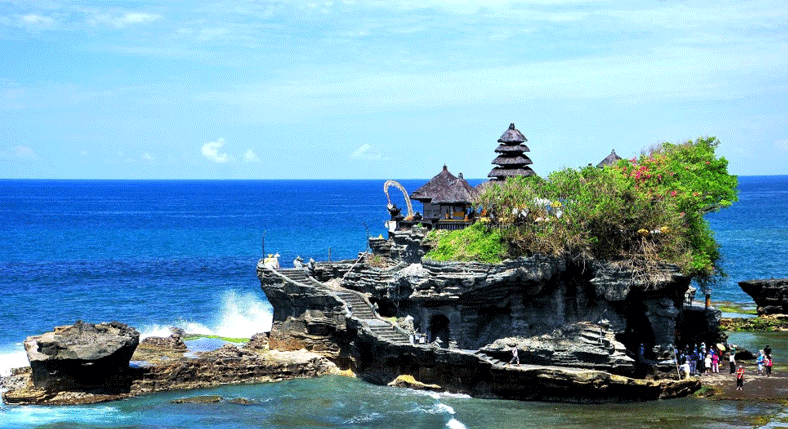 Tanah Lot is one of the best temples in Bali right on the coast. 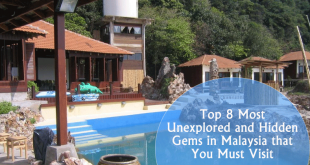 You can easily reach this temple from the well-known beach towns like Sanur, Kuta, and Seminyak. 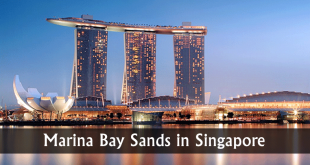 It is located on a rock formation shaped by the tides over time. It is also one of the unique Balinese temples. There are really beautiful green rice paddies you can visit and catch some Instagram-worthy pics. 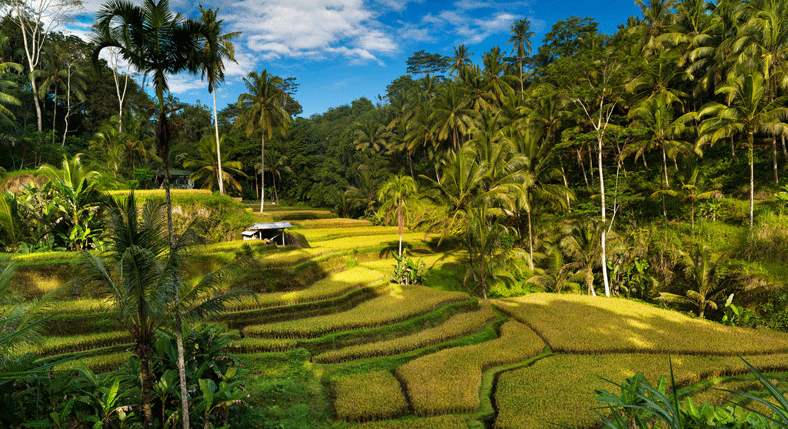 When you plan out certain things to do in Bali, be sure to plan your day ahead in Ubud region for Ubud Monkey forest and Tagallalang rice terraces. 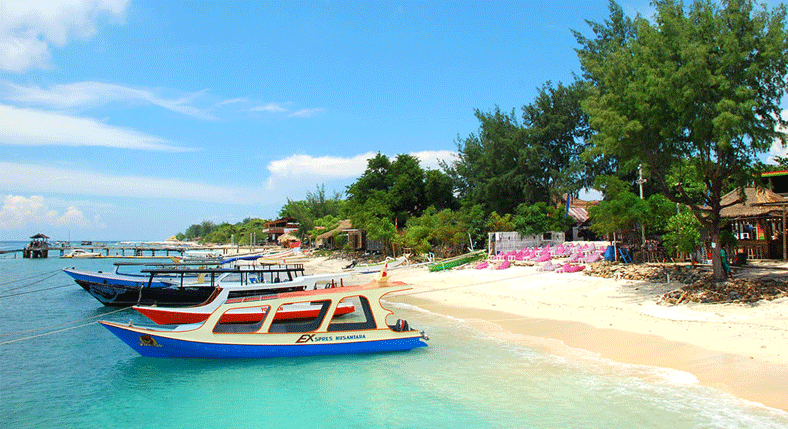 Simply catch a ferry and go to Gili Islands for a wonderful experience. The Gili Islands are made of three islands that are very small – Gili Meno, Gili Trawangan, and Gili Air. The best choice for the younger crowd who love to party is Gili Trawangan. You may plan to visit Meno or Air for a relaxing and quiet trip when you visit Gili islands next time. 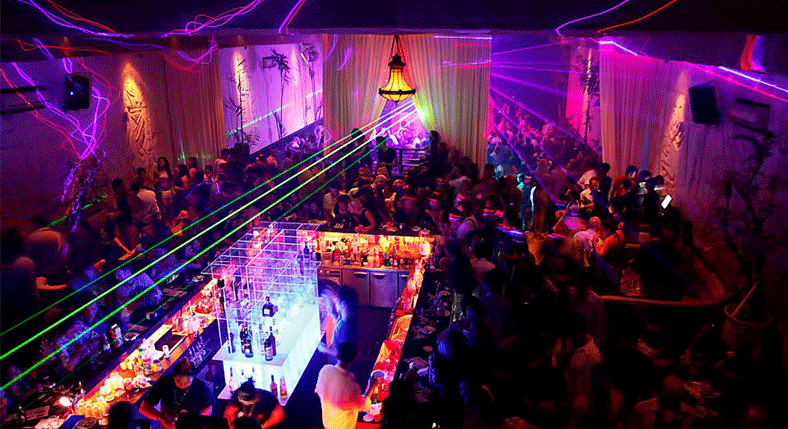 There is no better option than ending your vacation by partying and having a night out in Kuta. Don’t plan too many things the next day. There are some bars where drinks are reasonably priced to start the night at full pace. If you have had too much fun with friends in Kuta, it is best to spend a day while chilling out at a pool. It is a must after having a great night out in Kuta.